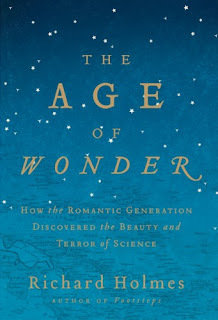 While I did genuinely enjoy The Age of Wonder, I struggled with it on a number of occasions, and, occasionally, even considered putting it down for a few months. It's a wonderful look at 18th and 19th century scientists who - in spite of their idiosyncrasies and vanities - managed to profoundly change the way we look at our world. The stories are insightful, intertwined and witty, the prose is excellent and the format is, for the most part, unique. On the other hand, The Age of Wonder is even too detailed for my taste; it could do without a few chapters entirely and over-emphasizes some of its source material. I've always loved good science non-fiction. Bill Bryson's A Short History of Nearly Everything is on the list of books that I remind myself to read every decade at least once. The Age of Wonder might not end up on that list, but it does provide the same kind of satisfaction as Bryson. Both authors understand that, while science itself is mostly straightforward and logical, the people behind it are not. To look at only the discoveries that have been made in a chronological order denies us a true understanding of how they came to be in the first place. Textbook science often ignores this part (except for the inaccurate and slightly silly image of Newton sitting under an apple tree) and is worse off for it. Richard Holmes shows us how daily science is both tedious and awe-inspiring, aspirational and conservative. 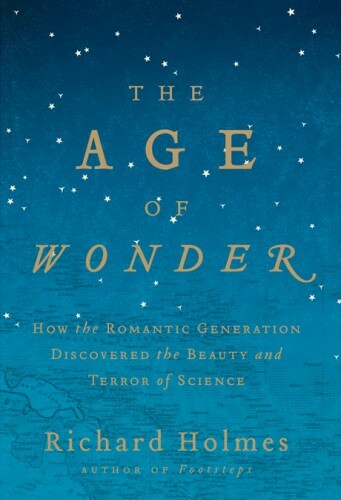 My favorite parts of The Age of Wonder were by far the introduction - the story of Joseph Banks journey to Tahiti - and the history of hot air balloons. It is possible that Joseph Banks is more famous in the UK than in Finland, but I had never heard of him before and yet he is such a central figure in the scientific community that you would think to find him on the front page of every methodology of science -course. Other wonderful passages described William Herschel being sidelined in astronomy circles because he claimed to have seen forests and lakes on the moon through his homemade, but surprisingly sophisticated telescope. Later he would be the first human to set eyes on a new planet: Uranus. Holmes's descriptions are vivid and detailed, sometimes to the point of exhaustion. I mentioned science text books earlier because at times The Age of Wonder feels like one. It is not entirely a grabbed-it-at-the-airport read, nor is it only about science. It doesn't deliver as strongly on the poetry front as it wants to. (It is of course possible that I'm just not the right audience for that part.) But I can't really fault a book for being too well researched. The structure is there to support the long forays into characters' personal lives, so while they may feel long, you are never completely lost, even if you haven't picked it up for a few weeks. And in a way, that is exactly what I liked about The Age of Wonder: it's the work of passion, much like the science that inspired it.